PHOTO BY MARK CHAMBERLIN Bubble Fusion, a new restaurant in the East End, focuses on desserts such as the honey toast. PHOTO BY MARK CHAMBERLIN A large selection of bubble teas. PHOTO BY MARK CHAMBERLIN Sushi from Bubble Fusion. 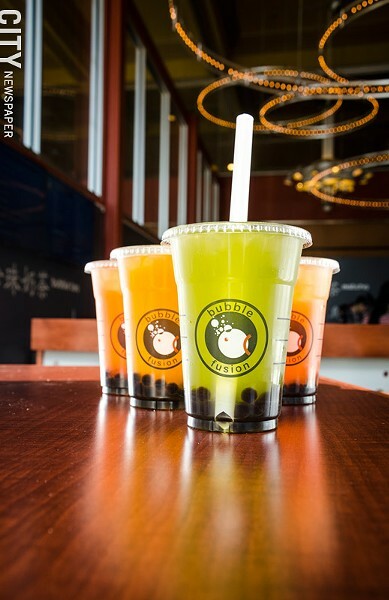 The origin of bubble tea goes back to the late 1980's, when a product development manager for a teahouse in Taiwan poured her tapioca dessert into a glass of cold Chinese tea. The drink — which is usually tea mixed or shaken with fruit and with tapioca balls added, or some similar variation — has been available in Rochester for a number of years in Asian restaurants like Dac Hoa, Sodam, and He's, among others. The mixed-texture drink with the unusually big straw is heavily featured on the menu at the new sushi restaurant in the East End, Bubble Fusion (200 East Avenue). Sean Zeng moved to Rochester from Connecticut four years ago to help out at his uncle's restaurant, Lin's Garden. "I have a big family that all own restaurants," says Zeng, who has been in the restaurant industry for 13 years, and has spent the last six refining his sushi skills. Zeng opened Bubble Fusion on October 2 with the intention of focusing on fresh, quality ingredients for both the sushi and the bubble tea. "Some bubble tea places use frozen drinks," Zeng says. "But here, we are brewing the tea every few hours and making the tapioca pearls fresh." Milk tea flavors such as chocolate, taro, and papaya are available ($3.50 for a medium, $4 for a large) as well as non-milk flavors like Assam Black and Golden Oolong — extra bubbles can be added for 50 cents. 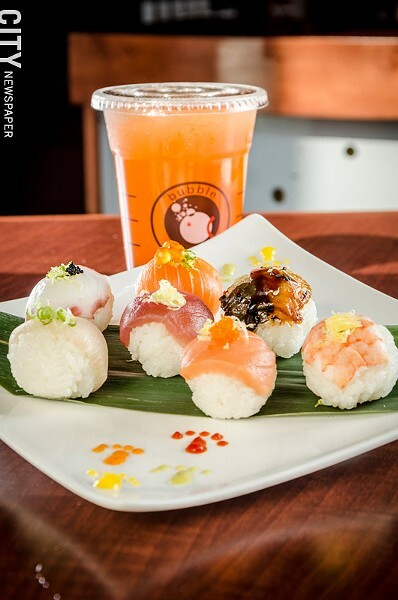 The menu at Bubble Fusion features a selection of Temari sushi, a style that produces a ball-shaped piece of sushi. "I wanted to do something fun and different," Zeng says. "You can look at it like a little piece of art." More traditional rolls, like the California ($5.50) and Philadelphia ($6), are also on the menu as well as a variety of fusion rolls such as the Fantastic ($13), which features tempura shrimp, cucumber, spicy tuna, avocado, tobiko, and soybean paper. 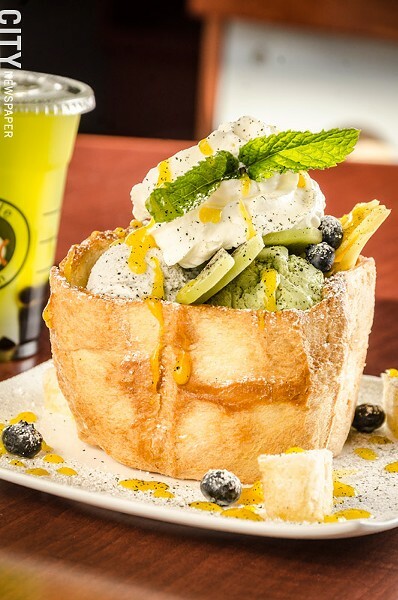 On the dessert menu, the honey toast ($7.50) is meant to be shared and is made with crispy, toasted bread, honey, fruit, homemade mango sauce, and either green tea or sesame ice cream on top with a sprinkle of seaweed powder to give a bit of salty with the sweet flavors. Bubble Fusion is located at 200 East Avenue, and is open Monday through Saturday, 10 a.m. to 10:30 p.m., and Sunday, 11 a.m. to 10:30 p.m. 435-4770. For more information visit its Facebook page at facebook.com/BubbleFusionRoc. Tap & Mallet has significantly updated its menu, which now includes six different poutine dishes and seven different burger options. The pub will hold a Burgers and Bells event on Wednesday, October 28, that will pair the new burger menu with beers from Bells Brewing Company. Tickets are $12 and can be purchased at Tap & Mallet. More information can be found at tapandmallet.com. Staying home and passing out candy to trick-or-treaters this Halloween? Why not pop a bottle of wine to pair with all that candy that you'll end up eating anyway? To demonstrate which wines will go best with your Skittles and Snickers, Via Girasole Wine Bar (3 Schoen Place) will host a Halloween Candy Pairing on Monday, October 26, at 6:30 p.m. Tickets are $30 and includes all wines, course handouts, and candy to pair with the wines. Visit squareup.com/market/via-girasole to purchase tickets. Salena's Mexican Restaurant holds tequila tasting classes on the last Wednesday of each month. The next class, Mezcal Madness, will be held on Wednesday, October 28, at 7 p.m. Participants in the class will taste different varieties of mezcal and compare them to tequila. Tickets are $25 and can be purchased at salenas.com. The Original Crab Shack (749 East Henrietta Road) has changed its name to ROCfish. The owners changed the name to let patrons know that it is a local restaurant and not associated with that national crab shack chain. Pub 235 (235 North Avenue) has opened in the former Hank's Ice Cream & Roast Beef Sandwiches location in Webster. The Porterhouse has opened in the former Joey B's location in Fairport. The steak and seafood restaurant was opened by the owners of T-Bones Steakhouse in Penfield. Bernunzio's Deli and Bakery (745 Penfield Road) has closed. Yolishous has closed its doors at both the Park Avenue and Elmgrove Road locations.